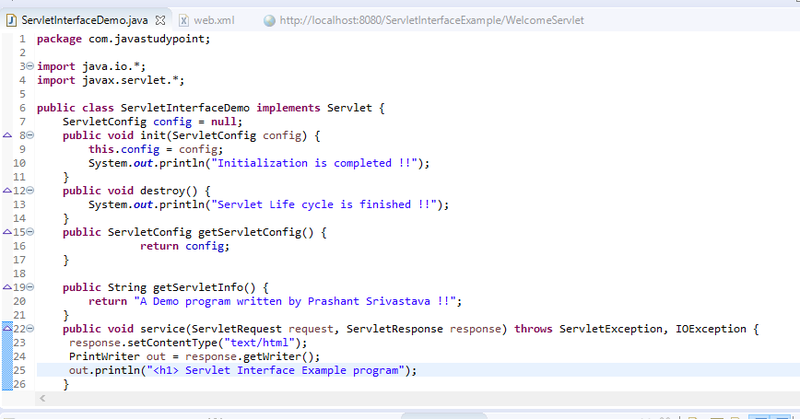 In this tutorial, we will learn about Servlet Interface and its methods. We will explain the purpose of all the methods with an example. Basically, Servlet Interface contains five methods which are described below. Before discussing its methods let's first understand about Servlet interface. service() and destroy() methods that call by the server during the life cycle of a servlet. A method is also provided that allows a servlet to obtain any initialization parameters. It is called when the servlet initialized. The initialization parameter for the servlet can be obtained from sc. An UnavailableException should be thrown if the servlet cannot be initialized. 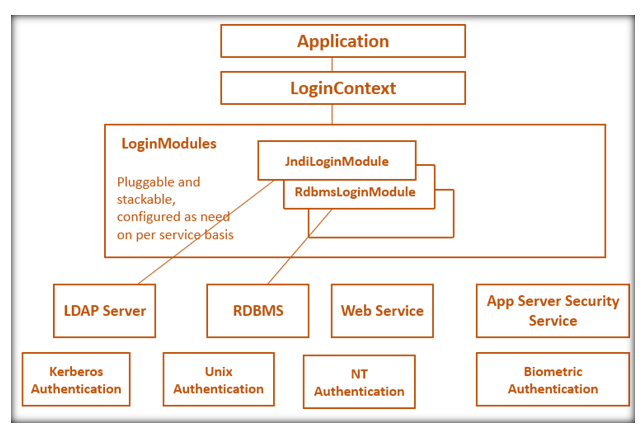 The Service() method is called to process a request from a client. The request from a client can be read from req. The response to the client can be written to res. An Exception is generated if some IO and Servlet problems occur. The server calls the destroy() method after the servlet has been taken out of service and all pending requests to the servlet have completed or time out. This method returns a string describing the servlet. This method returns a ServletConfig object that contains any initialization parameters. In this example, we have created a servlet by extending the Servlet Interface. How to create Hello World Servlet with Tomcat7?